During a crisis, the media is often seen as the enemy. Most companies and organizations do not realize that adopting a strategy of working with the media can make managing the crisis a lot easier. Participants understand how the media operates in a crisis, how to proactively work with the media during a crisis, and how to communicate through the media to reach all key audiences and stakeholders. Participants also gain a solid grounding on how public information fits into the Incident Command System. 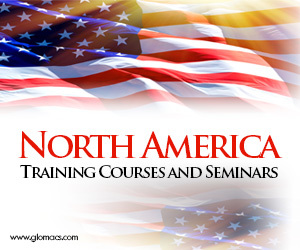 This course is designed for practical applications of crisis communication principles. This course will explain what communication problems look like, the different phases of crises, how to deal with them, and how to anticipate crises as part of conducting effective public relations program. It will also explain the role of a crisis communication team and teach you how to write a crisis communication plan. Most importantly, it will emphasize the value and importance of using social media in a crisis communication plan and in marketing. Through case studies, you will examine best practices that have worked for others. A diverse selection of resource materials will help guide and supplement your understanding for practical application. The overall goal of the course is to help develop your skills and abilities as part of a crisis management team to help an organization or company develop a credible and tested communication plan to effectively respond to a crisis. Program participants represent a spectrum of businesses and sectors, geographic regions and nationalities, and areas of expertise. The unifying theme is a broad base of employees and recognition of their critical role in Crisis Communication and Public Information Management.